An Offer In Compromise is where the IRS wants to collect more from you now than they can using regular protection procedures over the next 5 years. In order to attain an Offer In Compromise there is a complex formula that the IRS uses to look at all of your income and assets, all of your debts and all of your liabilities. This information is put through the formula and then that information is used by your tax attorney to negotiate an amount that is less than the full amount you owe, but that the IRS agrees to as a settlement amount. Once the settlement amount is agreed upon, the new reduced amount can either be paid in full immediately or it can be paid over either a 90 day or 24 month period of time depending on your facts and circumstances. What Are The IRS Offer In Compromise Guidelines? 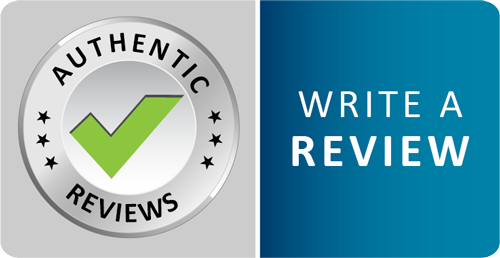 The IRS Offer In Compromise guidelines all have to do with the formula that the IRS uses. It is a complex and in depth formula that looks at all income, assets, debts and liabilities in order to determine how much money you can pay. How Long Does It Take To Reach An Offer In Compromise Settlement? It usually takes about 6-9 months in order to go through the regular Offer In Compromise process. However, if you want to get the best deal possible, then you have to go up to the appeals officer level. 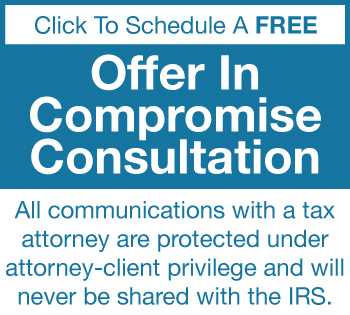 Very few tax attorneys who deal with Offer In Compromises actually take them to the tax appeals level. Generally they just accept whatever the IRS gives them at the first level which is the revenue officer level. 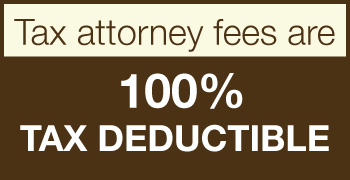 This tax law firm goes to the appeals level with virtually every one of the clients that we represent in order to get the lowest negotiated settlement amount possible for the tax payer. So, while it takes 6-9 months to go through the first level, to go through the second level it takes about 9-12 months, so it can typically take up to 18 months to go though the entire appeals process and reach a successful outcome. This is negotiations from day one. From how you present your case when you first file your documents, to the time you meet with the revenue officer to the time that you meet with the appeals officer. New financial statements have to be presented to them at each step of the way and it's about setting up your case to fit into the IRS formula. There are simply far too many legal and procedural requirements and pitfalls for anyone other than an experienced tax lawyer to achieve the lowest negotiated settlement amount possible.